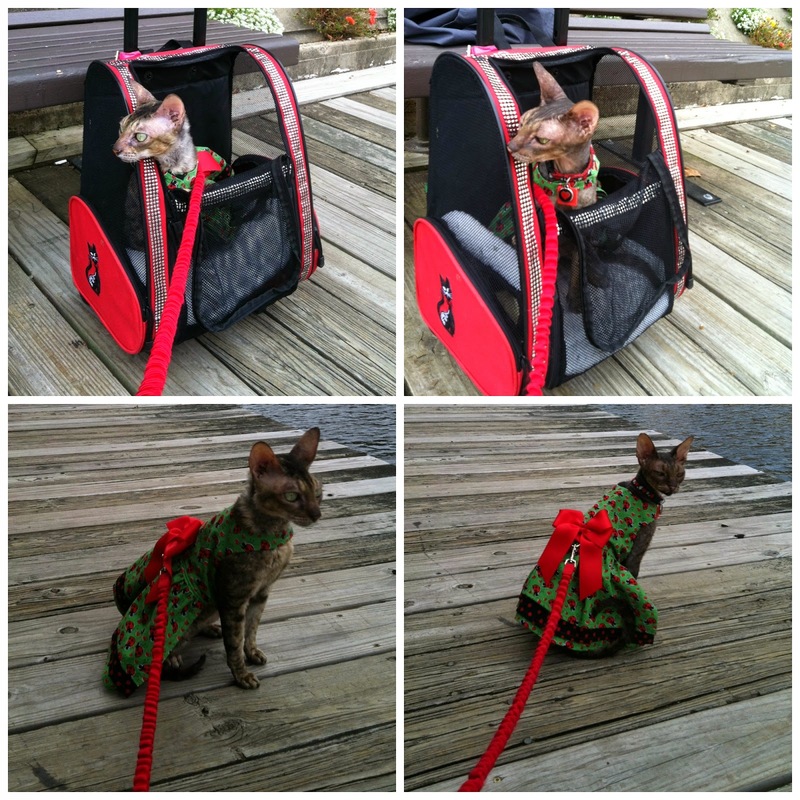 Coco didn't even have to go out of the house to go Out & About this weekend! 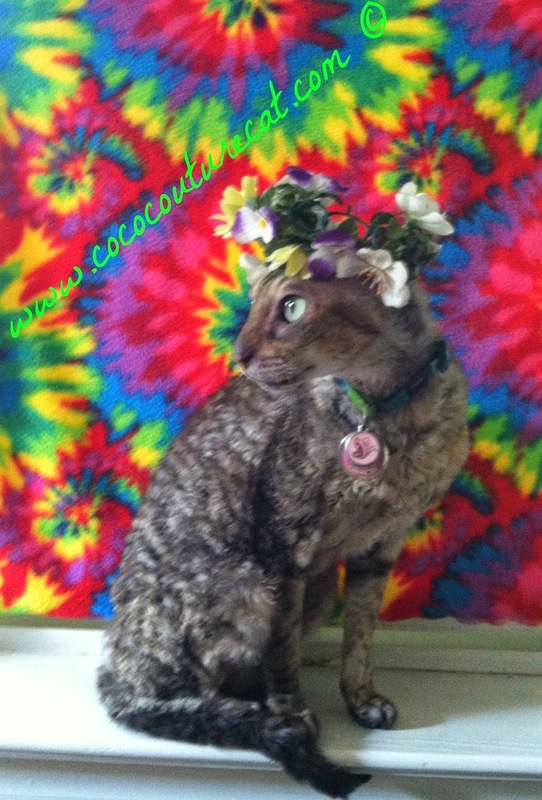 We had a photo shoot to support Sophie Gamand's project, Pit Bull Flower Power and Coco was the first feline photo submitted! 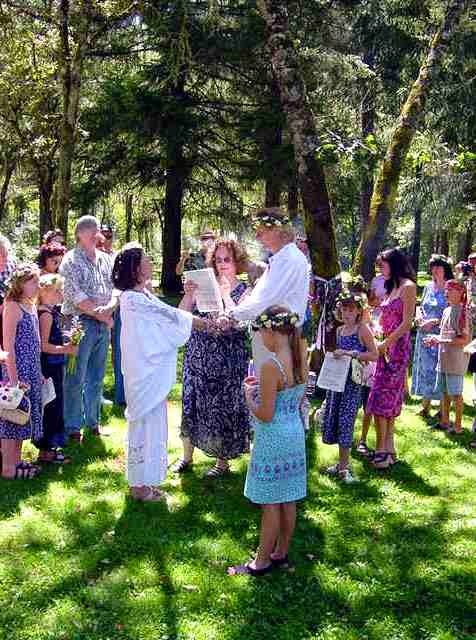 She was wearing a flower wreath just like the one all the young girls (and Mike) wore when I married him in our Summer of Love 2000 ceremony! Then I had the not-to-bright idea of trying a Mother-Daughter photo shoot with Coco and Kely and that turned into a claws out hissfest. Posing next to each other was just too much to ask! So today, I took Coco into work with me and did a shoot with her wearing the same dress Kely did last week and set up in the same spots. 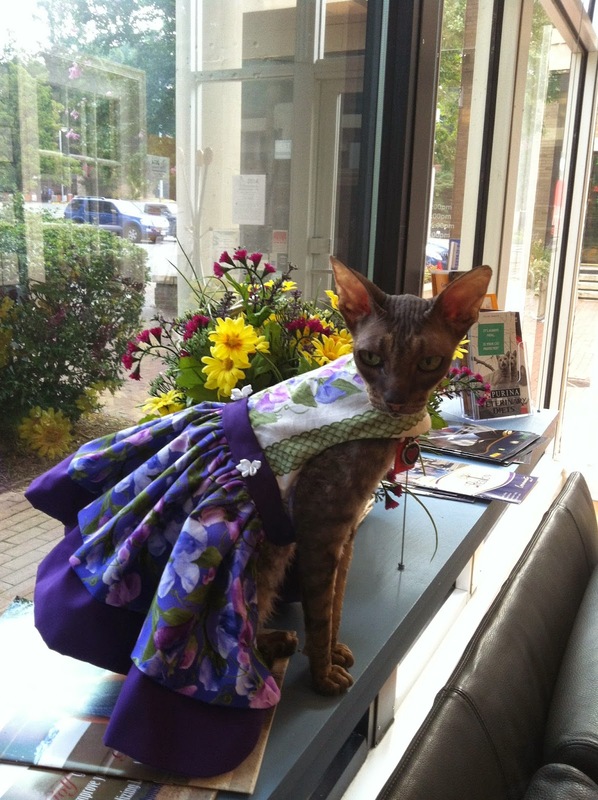 Those of you who don't follow us on Facebook miss out on my Week Day Kely photos taken at Just Cats Clinic and around the lovely Lake Anne Plaza. It's been great fun, and makes me smile to see Kely, who is 14 years old and had never dressed up until a few months ago, pull it all off with an ageless grace, don't you think? So, instead of the Mother-Daughter photo session, here is a collage of the photos of Coco and Kely and I think they turned out well, don't you? That's Coco on the left, and Kely on the right. They look very similar in these photos, but they do have their subtle differences, not only in age! 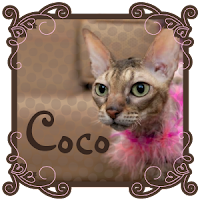 Coco weighs 7.5# and Kely 5.5#. 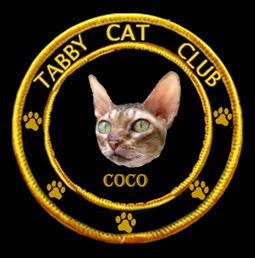 Coco's color is Brown Patched Tabby and Kely's a Brown Mackerel Tabby. And Coco is almost 9 years old and Kely just turned 14! But as you can see, they are also very alike in their sweet personalities and a flair for fashion! 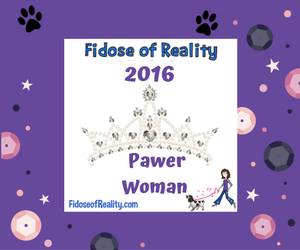 You know how it is - we divas don't like sharing the spotlight! Mom and daughter do look quite a bit alike!